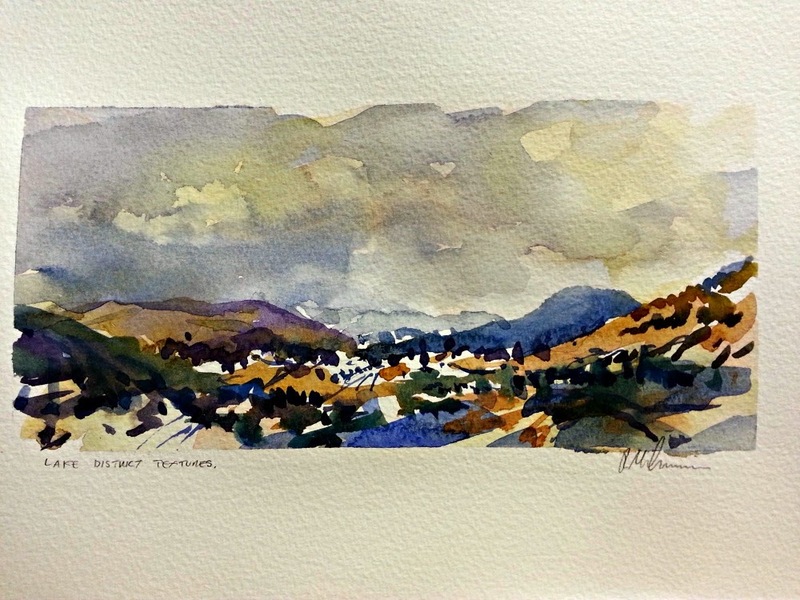 RoyTheArtist and Friends: Lake District Textures Watercolor. Do you still use Bockingford? I finally bought ten sheets of it (140lb, NOT) and realized there was a learning curve to using it, the most surprising part being that paint lifts off, even when dry, if another wash or glaze is added on top. On top of that I've found Cotman paints to be difficult to use on it, so I've switched to MaimeriBlu paints. Yes I still use Bockingford. I like the smaller size and wide format for the ability to capture and summarise a scene. I fnd that the paper size (as in the coating) helps me get the effects I want. However, 'each to his own' it may not suit everyone. No secret! I even made a book for kindle to teach my methods 'Introduction to loose watercolor' I really ought to advertise it on here! This blog is really just a visual record of paintings. Thanks for stopping by. Thanks for the reply. I have to say that I like fact that your not letting the paper dictate what the picture should encompass. I'm at the point myself where I don't feel the need to fill the whole paper just because it's there. I have to say it's been enjoyable going through the past months and seeing all the work I've missed.